What is it with British contemporary choral music? i found myself asking that question constantly during the fourteen minutes of Footsteps, the work that opened last night’s Cheltenham Music Festival concert in Tewkesbury Abbey, given by the vocal ensemble Tenebrae. It perhaps goes without saying that one makes a double set of allowances when considering contemporary music for choirs. Within British life and culture, such music is focused almost entirely within the realm of religious services. If you’re thinking the next step of this argument is to stress how such choirs are invariably amateur, and therefore unable to handle the more imaginative machinations of contemporary musical thought and practice, then (up to a point) i don’t really believe this to be true. Speaking as one who has both participated within and directed choirs, the religious faithful of the British Isles are among the most culturally conservative people i have ever encountered, for whom dissonances are iniquities to be temporarily endured until the resolution that will – must! – surely come. This, as far as i’m concerned, is the primary allowance that one is forced to make when considering British contemporary choral music. Much of it can be regarded as functional, and as such needs primarily to please the people for whom it functions. i’ve said this before, quite a while back now, but tuning into any weekly broadcast of choral evensong on Radio 3 is to travel back in time and step into the aural equivalent of a museum, music trapped in aspic, and this is for the most part no less true when contemporary music is included. The amateur aspect is the secondary allowance one usually has to make, but this obviously doesn’t apply when the music is written for choirs of a high standard, such as Tenebrae. But wouldn’t it be nice if composers of this stuff could challenge the necessity of these allowances, reach a little further and employ some of that spirit of adventurous, unafraid, fundamental questioning of the conventional way of doing things that supposedly underpins – indeed, inaugurated – the very faith for which their music is being written? After all, institutions, if they progress at all, do so at a pace that—well, to call it glacial would be a compliment (just look at the Church of England’s ongoing inability to accommodate, let alone accept, gay people in their midst). So what is it with British contemporary choral music? What on earth are their composers so afraid of? 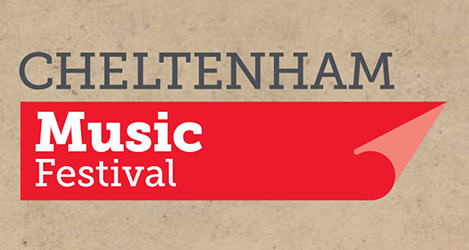 To return to Footsteps, by composer Owain Park, performed by Tenebrae together with Cheltenham Youth Chamber Choir. It made a pleasant enough noise; there was nothing within it remotely likely to catch, or prod, or provoke, or give cause for alarm, or in any way get under the skin. It was all gloss: a not unattractive, picture postcard collection of familiar – no, hackneyed – tropes that didn’t so much explore the seasonally-arranged words assembled from various sources as simply slide over them. This was deeply frustrating, as the words – drawing on Emilys Bronte and Dickinson, Thomas Hardy, Elizabeth Barrett Browning and, mostly, a sonnet by Spanish writer Gertrudis Gómez de Avellaneda – were interesting and packed within them considerable potential for exploration. Yet Park’s music was so overwhelmingly emollient as to mean that Tenebrae may as well have been singing absolutely anything. It didn’t matter. And that matters—at least, it would matter if anyone else particularly seemed to care about or even notice this, but judging from the moderate but positive applause the piece received, it seems such music will continue to predominate and be accepted without question. Unless, that is, someone like Joby Talbot has anything to say or do about it. 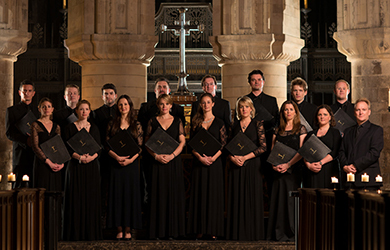 The rest of the concert was given over to his hour-long Path of Miracles, composed in 2005 and a work closely bound up with Tenebrae, being commissioned by them at the time of the group’s formation. It’s unquestionably an epic, but to call it that is to imply very much more than just mere duration. Ironically, considering Talbot’s pop music past, the piece brings to mind the Divine Comedy, where Dante didn’t so much narrate his epic journey as create a text that actively became that epic journey for each reader. And in turning for inspiration to the pilgrimage so many make each year to Santiago de Compostela, Talbot has not so much depicted this pilgrimage as create music that actively embodies it. As with most epics, it takes time to get the measure and the tenor of Path of Miracles. In almost all respects it’s a highly unusual work, in terms of the textual content, the structure, the range of musical behaviours exhibited by the choir as well as their mode of performance, often involving moving to assorted points within the building. In the pre-concert talk (almost inaudible due to the stupid decision not to provide microphones), Talbot gave some cause for concern when he spoke of compositional style being “dictated by the occasion”. But any worries that the music would thus consist of a patchwork of borrowed tropes resulting in the same kind of shiny but tired veneer as that of Footsteps were instantly allayed. While one might detect a hint of Pärt here, a suggestion of MacMillan there, the musical language of Path of Miracles, though variable and multi-faceted, is unexpected and unpredictable, as well as being appropriate, consistent and stunningly vivid. In taking time to adjust to the work’s modus operandi, i found myself wondering whether there wasn’t something a bit relentless about it, that there often seemed to be no room to breathe, and even if Talbot weren’t being rather over-indulgent. But no. First, the piece acts not dissimilarly to a grand liturgy, full of a multitude of sections, some short, others considerably extended, some unique, others returning to themes and ideas explored earlier. In this respect it needs the time and space to unfold, to juxtapose, and thereby attain a kind of symbolic transparency for the reality beneath and beyond. Second, as i indicated before, Talbot’s music embodies the enormous (roughly 500-mile) pilgrimage to Santiago, in which the singers effectively become the pilgrims themselves. In this respect too, the piece needs time and space, not just simply to travel, but to describe, to meditate, to celebrate. It caused me to recall the one time in my own life when i undertook a (much less) difficult journey, trekking for three-and-a-bit days in Peru to reach Machu Picchu. The journey takes over, becomes everything – you eat, sleep, breathe it – and the destination (in this case, unseen until the very last moment) looms over you – the idea of it, the prospect of it, the meaning of it – more and more with each passing day. This is why Path of Miracles is the way it is. It lives the journey. Directed by Nigel Short, Tenebrae gave what i have to describe as one of the most dramatic, moving and genuinely amazing choral performances i have ever witnessed. Talbot asks a lot of them: to emerge at the start through a remarkable sequence of upward glissandi continually articulating a fifth yet continually reforming on the fly (surely one the most memorable openings of any choral piece); to be simultaneously simple yet shining in passages of quasi-chant; to coalesce and meander around drones; to navigate both smooth and severely angular melodies; to clarify rapid, gabbling bursts that practically skip through whole portions of narrative; to construct seemingly static cycles of music while maintaining a sense of forward momentum; to alternate between ebullient outbursts of almost wild extroversion and withdrawn periods of introspective intimacy; and at the last, to revel in the paean-like glory of reaching journey’s end while not losing sight of the deeper purpose of that journey, to rejoice and to reflect. This is a tall order, for composer, for choir and for the audience. The fact that Talbot aspired to so much in Path of Miracles is impressive enough, but to have fulfilled it so magnificently and so completely is extraordinary. The ending will never leave me: the choir singing as one, before splintering off, still singing, into a number of smaller groups, wandering off in all directions but still united by their common music, sometimes pausing in little huddles for a moment of reflective focus before continuing, finally going their separate ways. We may have been sitting still for those 60 minutes, but we went on that journey with them, and we knew how they felt. Whatever one’s spiritual, supernatural or superstitional beliefs, or lack of them, from a compositional perspective Joby Talbot’s Path of Miracles instils in one a great deal of faith. Me again! You make a lot of excellent points here. As someone who’s also spent a good deal of time both singing in and accompanying amateur choirs, I’m also frustrated by the conservative choice of repertoire and the unadventurousness of so much ‘contemporary’ choral music. Heck, I’ve met people whose idea of avant-garde music is Eric Whitacre!